Our quest to discover the authentic dishes in Southeast Asia, took us to Pampanga, the Culinary Capital of the Philippines. One of the things we were really looking forward to was learning about Filipino food and the national dishes of the Philippines. To our surprise, we learned that this question was not simple, but rather complex based on the cultural heritage and the diversity found on the over 7,000 islands. 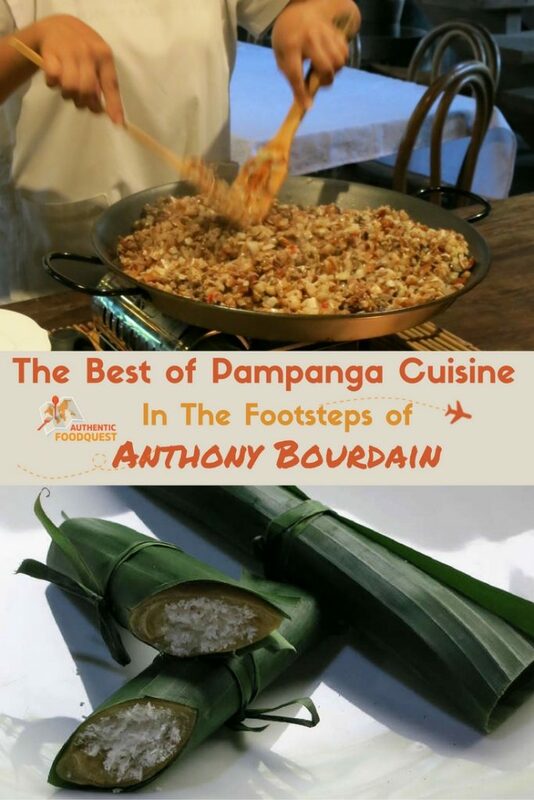 The trip to explore Pampanga cuisine was similar to Anthony Bourdain’s journey when he visited the region in 2009. This trip was made possible by the Philippines Tourism Board, as part of the TBEX Asia 2016 conference we attended. 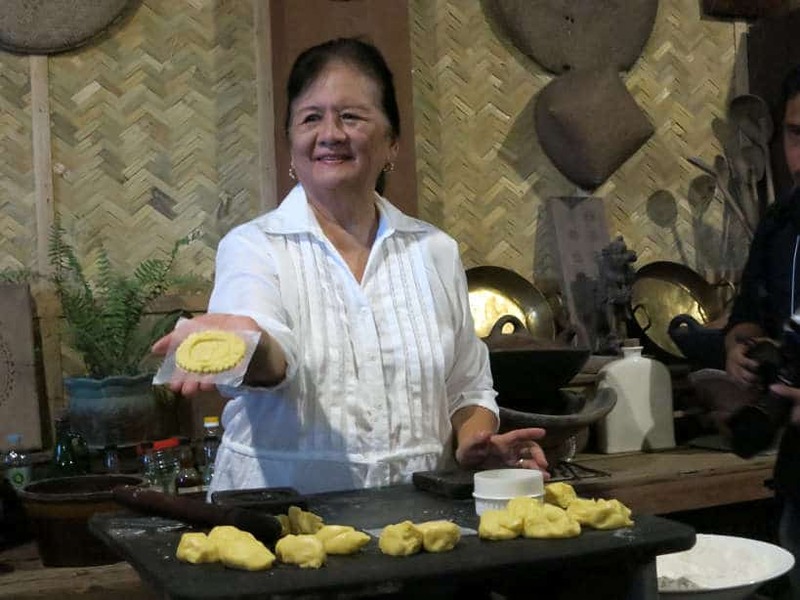 We took the Gastronomic Heritage Tour at the Culinary Capital of Pampanga, as part of the “Pre-Bex” tours offered a few days before the conference started. Prepare yourself for a yummy culinary journey or as they say in ”Kapampangan” or “Pampanga” language, Manyaman! Located about 65 km or 2 hours north of Manila, Pampanga is referred to as the “Culinary Capital of the Philippines.” Not only is renowned for its food, it is also home to the U.S. Clark Air Base, which was once the epicenter of American air operations from the Spanish-American war, WWII, and the Vietnam war. We had the opportunity to meet with Claude Tayag, one of the Philippines best-known chefs at his restaurant Bale Dutung. The restaurant itself is a work of art made with a variety of old and recycled materials. 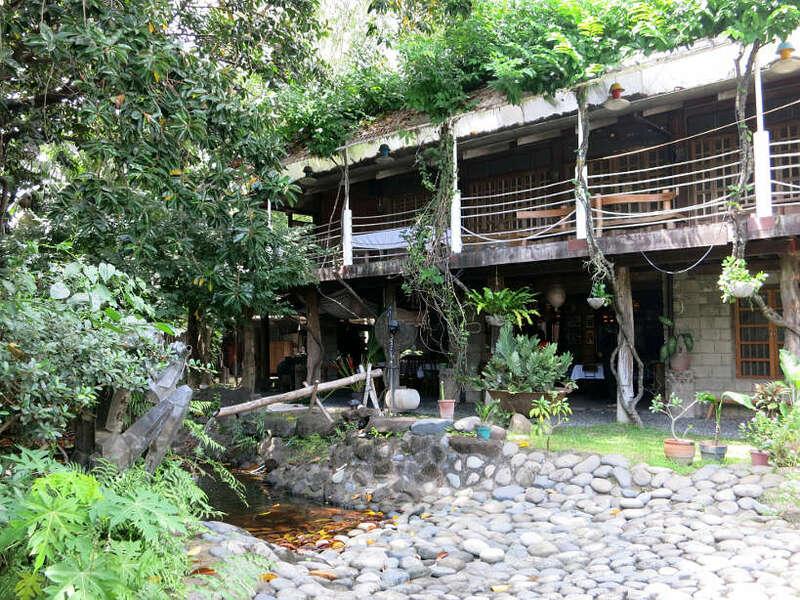 Claude serves traditional Kapampangan cuisine and the restaurant gained even more popularity when Anthony Bourdain, visited and featured the restaurant in his TV show, No Reservations in 2008. 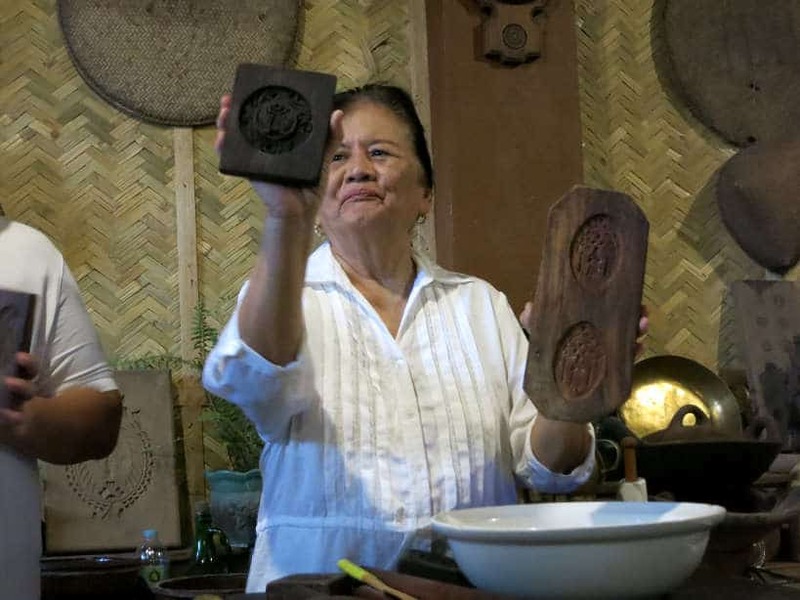 Understanding the traditional dishes of the Philippines was our mission in Pampanga. In spite of all of the research we had done ahead of time including talking to U.S. Filipino friends , we didn’t feel like we had a full grasp on Filipino cuisine. We asked this seemingly simple question to Claude Tayag his answer really surprised us. We were expecting him to talk about a few key dishes, but instead, he talked for over 15 minutes about the historical and cultural influences that have shaped Pampanga cuisine and food in the Philippines. One thing to note Claude told us, is that most of the Filipino dishes are named after the cooking method, not the dish itself. 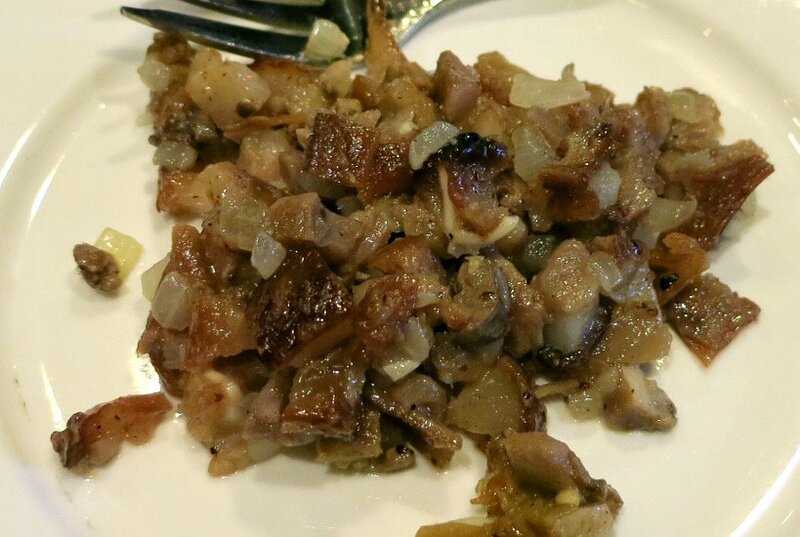 For example sisig, a local Pampanga dish that we talk about below comes in many versions. You can find pork sisig as well as seafood options like squid, tuna, milkfish and more. The point is, every dish is different and is based on the ingredients used, however, the cooking method remains the same. We enjoyed an amazing 10-course meal, eating and learning about authentic Filipino cuisine and specifically Pampanga food. The highlight of the 3-4 hour experience was Lechon Six Ways (roasted suckling pig from head to tail). We will talk more about that experience in a future article, but for now, we put a spotlight on Sisig, one of the most famous and traditional dishes from Pampanga. Sisig, also called Sizzling Sisig, is a dish that is made up of chopped pig’s head parts (face, snout, cheeks, and ear), grilling them and mixing them up with chicken liver. It is usually served on a sizzling platter garnished with chopped onions, chili peppers, chopped onions and slices of calamansi (Filipino citrus fruit). In the short video below, watch as chef Claude Tayag describes Sisig and the various kinds. While we were fascinated by the sizzling preparation style, but we have to admit we were not big fans of the dish. Even though it was well prepared, the thought of the ingredients was not very appetizing. Nevertheless, we recommend trying this Pampanga specialty and opening up to the unique cacophony of flavors and textures. The background of Sisig is interesting. 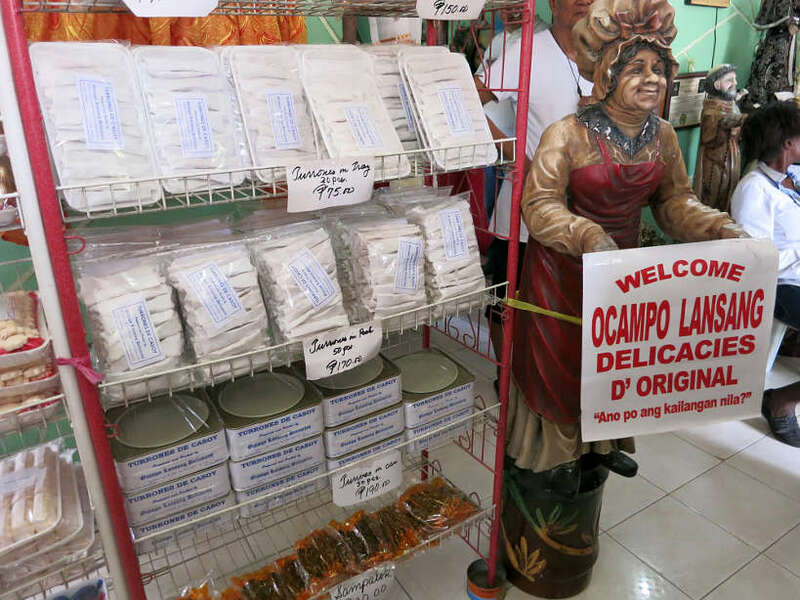 It was invented in Pampanga in the 1970s by Aling Lucia Cunanan, a restaurant owner, who bought the unused pig heads from Clark’s Air Base, and created this local delicacy. You can find her famous restaurant Aling Lucing, in Angeles City, Pampanga. Pork sisig is usually served as an appetizer. Popular at bars, many claim that it tastes excellent with a cold beer. It has earned the reputation as the unofficial national dish, for Filipino beer drinkers. Our Pampanga food trip included a stop to try other local Pampanga delicacies. First, the famous Turones de Casoy and Sansrival. As soon as we walked in this brightly colored small shop-house, we felt we had stepped back in time. The owner, Ramon Ocampo, introduced us to his family run business. His aunt started the business of making Turones de Casoy and Sansrival in the early 1920’s. She was taught by the Dominican sisters who shared the recipes of these Spanish-inspired sweets. Before his aunt passed away, she made Ramon promise her to keep the business alive and maintain the cooking traditions and the use of the same exact ingredients. Now a retired teacher, Ramon is training his niece and nephew to take over the business. 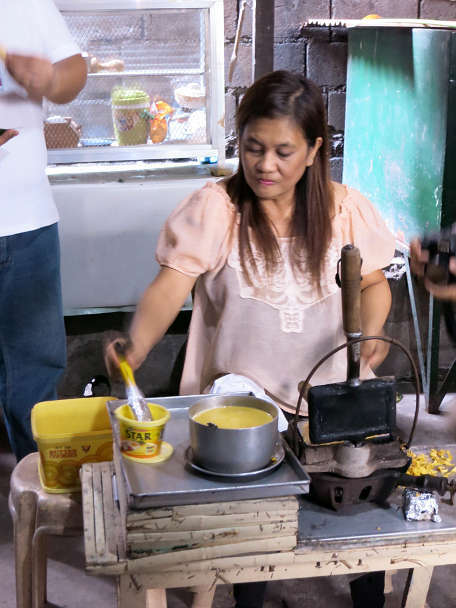 The real action takes place at the back of the shop, where workers manually prepare and bake these Pampanga delicacies in the small kitchen. 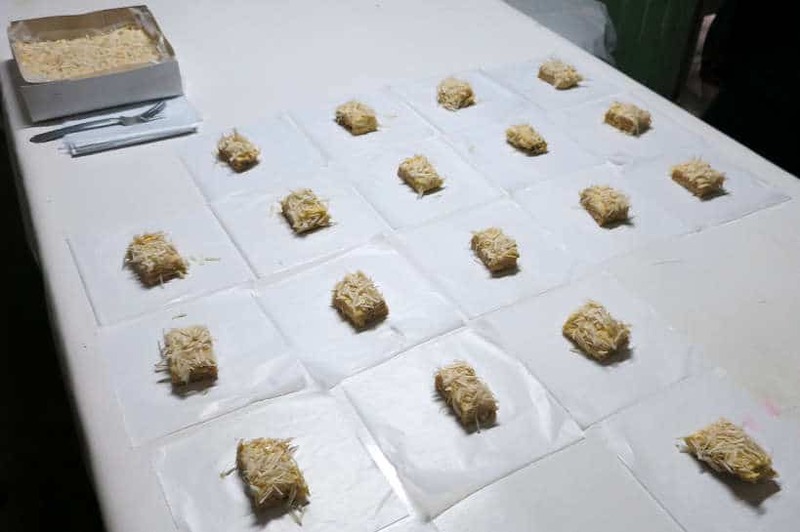 Here they make two traditional sweets: Turones de Casoy and Sansrival. Turones de Casoy is made of cashews and honey wrapped to form a rice sheet that you can actually eat. They are quite crunchy and hard to chew. They are somewhat similar to a nougat with a cashew flavoring. Sansrival literally means “without rival.” It is a cake layered with meringue, chopped cashews and butter cream. When you bite into the cake, you get the gooey buttery texture loaded with delicious cashew bites. Both treats were delicious. Claire preferred the Turones de Casoy, while Rosemary enjoyed the cashews in the Sansrival. You can’t go wrong with either of these two treats. Either way, you will get your sugar fix. San Jose, Santa Rita, Pampanga. The next stop on our Pampanga food trip was at a small traditional place that makes Burquillos and Patko, two Filipino style crepes. The owner, Aling May Mercado, was making Burquillos, when we arrived and she invited us to join her. One of the most interesting parts of the cooking process was the equipment. She used traditional equipment, similar to a waffle maker to delicately prepare the crepes. 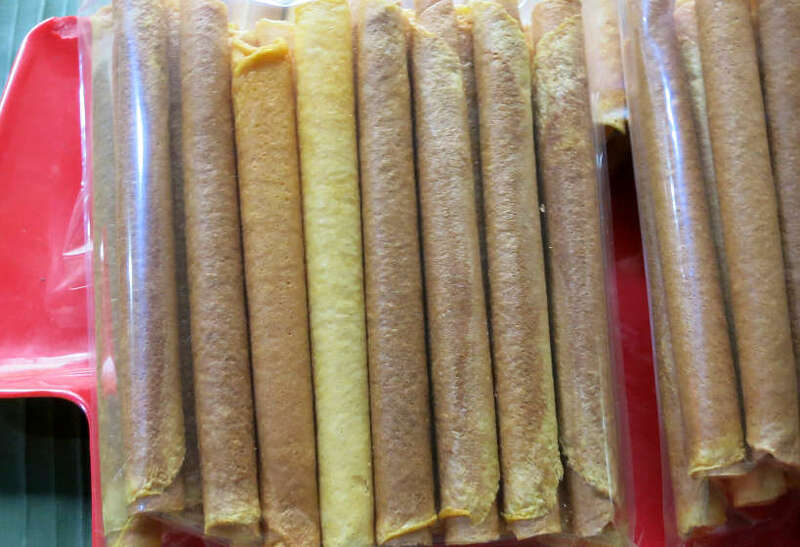 The Burquillos are plain hard-shell crepes which are sweet and crispy. 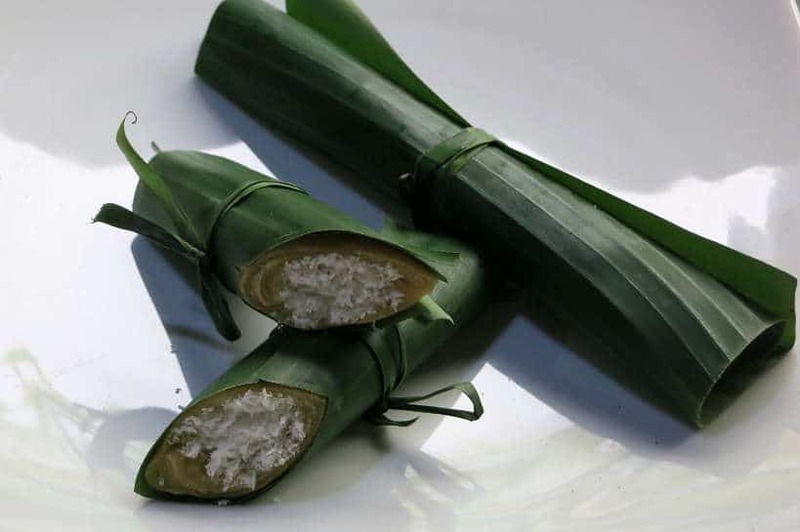 The Patko on the other hand are sweet and soft crepes stuffed with fresh shredded coconut, wrapped in a banana leaf. Of the two Pampanga delicacies, Claire’s favorite was the Burquillos, while I preferred the Patko. More than likely, one of these delicacies will suit your taste! Stuffed and full, we made one last stop on the Pampanga food tour. For this visit, we stopped at Atching Lillian Borromeo’s shop house. Atching Lillian welcomed us warmly in her friendly and simple restaurant in her home. It was merienda time (snack time) and all sorts of Filipino savory and sweets were ready to be served. But the main reason we stopped here was to learn about Atching Lillian’s specialty, the San Nicolas cookies (St Nicholas cookies). The story behind the Sanikolas or St Nicholas cookies is quite fascinating. 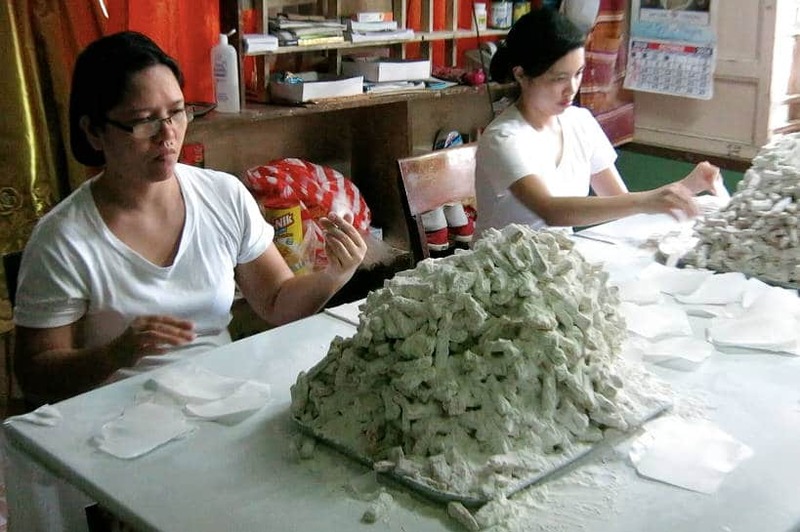 When they were building churches in Pampanga more than 100 years ago, they used egg whites to glue or hold the stones together and they would throw away the egg yolks. To stop the waste, the nuns at the church decided to create a recipe using the egg yolks. The cookies were created and dedicated to San Nicolas, the patron saint of bakers. At the time, cookies were given to the devotees on the feast day of St. Nicolas. Atching Lillian started by showing us the traditional wooden molds that are used to make the cookies. It was impressive to see such old cookie molds, some of them made over 100 + years ago! She made the cookies in front of us using egg yolks, milk, cake flour, cornstarch, baking powder and margarine. 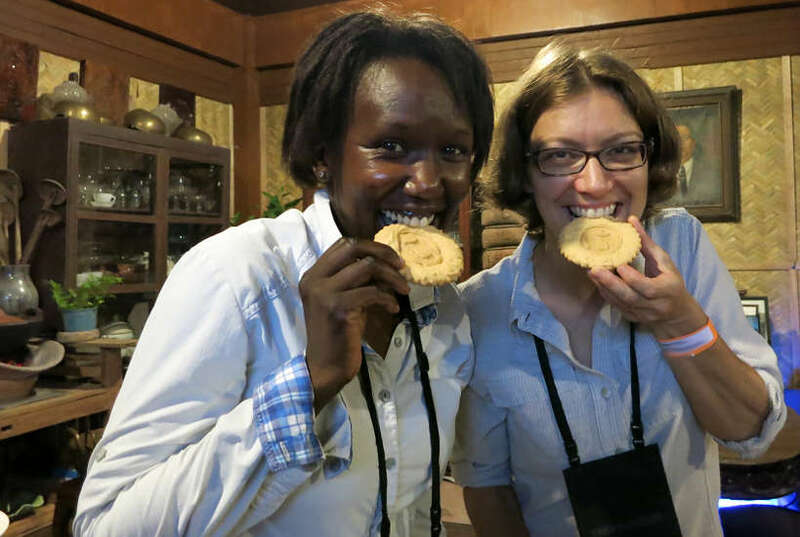 After the cooking demonstration, we were salivating and eager to taste the San Nicolas cookies. These treats are delicious buttery cookies, that are easy to eat on the go. Our stomachs full from a day of eating could not have more than one San Nicolas cookie. So we were happy when Atching Lillian told us we could take some to go. Biting into San Nicolas cookies. Yum! Pampanga produces some of the best and well-known cuisine in the Philippines. On this Pampanga food trip, we discovered unique traditional dishes and amazing local producers. One of the things that we really enjoyed was learning about Filipino cuisine and the distinct regional differences. There is a pride in Pampanga cuisine and it was amazing to taste the unique products. If you have time for only one day trip out of Manila, make it the Gastronomic Heritage tour at the culinary capital of Pampanga. You will be welcomed warmly into the homes of friendly locals who will share their love for Pampanga cuisine and the Philippines in general. To find out how to book a Pampanga food trip, check out VisitMyPhilippines from the Philippines Department of Tourism. Have you had any regional Filipino dishes? Let us know which ones in the comments below! Disclosure: This tour was put together by the Tourism Promotions Board Philippines for TBEX Asia 2016. As always, all opinions and observations are entirely our own. Having not yet been to the Philippines, I found this article to be very educational. TBEX did an impressive job in setting up such a comprehensive Pre-Bex tour with so many local producers. Filipino food is generally delicious wherever you are in the country. I was interested to hear that the chef believes there’s no national cuisine! I’m surprised Filipino cuisine isn’t as well known as it should be. We were just as surprised at the notion that there are no national dishes but rather, regional dishes. Other Filipinos we talked to had were just as surprised. An interesting point of view indeed, We agree, it is a shame Fiipino food does not get the attention it deserves. We look forward to doing our part to spread the love 🙂 Thanks Chrstina for your comments. Food tours and food discoveries are such a great element of travel. They provide such a unique cultural immersion opportunity. Just reading your post has taught me so much. We are so glad that you have learned a lot about Filipino cuisine by reading the post 🙂 Agree with you totally, tours can provide unique cultural immersions. This one was very well done by the Tourism Board of the Philippines. Thanks Punita! Well that was one interesting post. I’ve never heard of Pampanga food but it sure looks good. After reading the ingredients in their signature dish, I could never even try that concoction but the Christmas cookies, definitely. Happy to hear that you enjoyed reading the post and learning about Pampanga food. The best way to enjoy Sisig is to not think about the ingredients and focus instead on the textures and tastes! Difficult to do…but an experience nevertheless 🙂 Thanks Melody! The post takes one through a fascinating journey of the cuisine of the Philippines. This is a refreshing and new perspective of this lovely nation. A different take other than the beautiful islands and beaches. Love this post the foods are so different from what we have over here. The Burquillos and Patko looks yummy and love that the Patko’s are almost like opening a gift! 🙂 Also love those wooden molds used for the cookies, now I want one! Thanks Nancy, and so glad you enjoyed discovering the local delicacies through the post. Yes, you are right, unwrapping the Patko, was opening up to wonderful coconut flavors. Delightful! 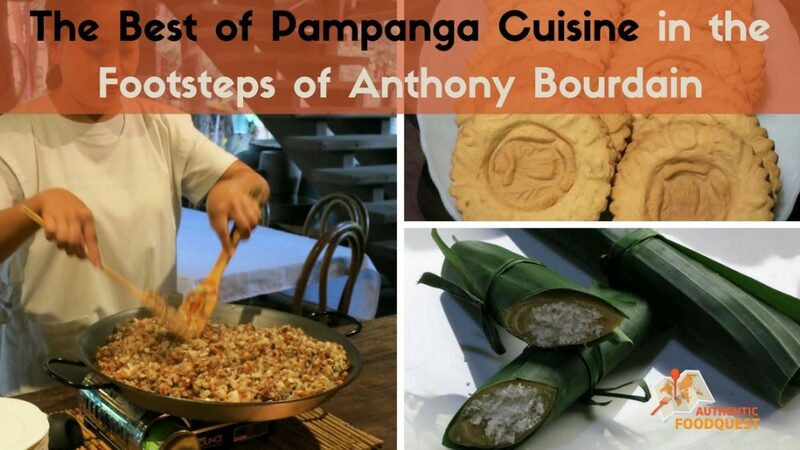 Hope you can make it to the Philippines and take this culinary journey soon. Cheers. Thanks Anita, all very delicious and tasty treats to be found in Pampanga. The Patko was a favorite. Hope you get a chance to visit the Philippines soon. Cheers! That’s wonderful to hear that you have added Pampanga onto your must-visit list. It is truly an experience that should not be missed when you are in the Philipines. You would love all the tasty delights!! Let us know when you make it to Pampanga. Cheers! One of the most interesting aspects about the trip was learning about the regional differences in the food. Yes, Pampanga is special and it is deliciously clear why it is referred to as the Culinary Capital of the Philippines. The coconut crepes were a favorite. Quite delightful. Thanks Nadine. Oh my gosh — 10 course meal?!?! Sign me up! 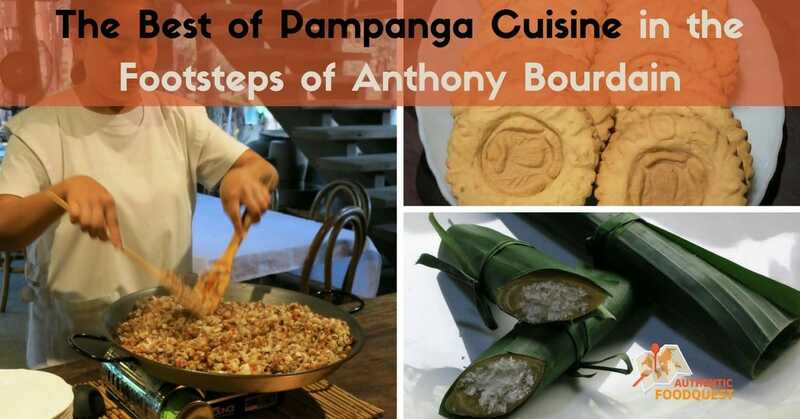 I had no idea that Pampanga was the culinary capital of the Philippines, and now I want to go so much!